Entrepreneurs, start-ups and scale-ups are a lifeline to South Africa’s economy. It is however a harsh environment and many entrepreneurs find themselves in a situation where they are wearing many hats and navigating potential pitfalls without the knowledge that many professionals have from years of experience. This is especially true from a legal point of view where entrepreneurs are faced with real world regulatory challenges that could have far-reaching consequences on their fledgling business, such as financial regulatory, tax, exchange control and intellectual property. is reliant on a third party agreement that doesn’t permit commercial use? These avoidable shortcomings often result in failures at critical junctures. The specialist legal services needed to avoid these problems are typically not easily accessible to startups. targeted networking and profile-raising opportunities. 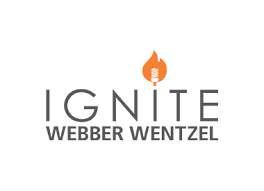 Webber Wentzel is not asking for equity or exclusivity; only an opportunity to connect and make a difference as a trusted advisor over the long-term. It is a wonderful opportunity that will set the selected entrepreneurs apart in the marketplace. Applications close on 15 January 2018.